HTC's One has been called 'the gold standard for Android devices', the speakers have been praised by pretty much every one who's used one and HTC have still opted to use the top notch materials they've become famous for. So, as you would expect from a device designed to turn HTC's fortunes around, this has been a popular device from the get go! Unfortunately, HTC will seemingly miss the launch date of March 15th in the UK, from at least one provider anyway! Online retailer Clove announced via their Twitter and blog pages that they won't be shipping the device until the 29th of March! We're not sure if this delay is going to affect everyone, we've had a little flick around some of the phone sellers online and Vodafone expect to ship devices on the 15th still, as do Phones4U, but you have to go through to the basket stage to check the date on Vodafone. Three, however, have updated their pre-order page, which now says that they expect to ship devices to people on the 30th of April for the black model, but the date remains March 15th for the silver version! And finally, the Carphone Warehouse currently expect orders to ship on March 29th! This is all intriguing, we're not exactly sure what's going on here, we can speculate that some stores already have the first batch of phones with them and a second batch is going to take a bit longer to make! If not, the device may well be delayed, but because the news broke quite late in the day here, some sites haven't got around to updating their websites yet. These delays might have something to do with the manufacturing issues we reported the other day! Either way we hope HTC can get these devices out sooner rather then later, especially with that Samsung announcement happening Thursday! We've reached out to Clove to see if HTC gave them a reason for the delays and we'll update the post if we hear back! MoDaCo's Paul O'Brian has said that HTC have confirmed to him that the One is delayed until late March, but it is shipping to Germany now! See the Tweet below for more details! 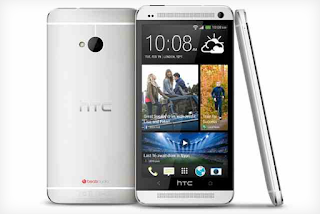 HTC have just confirmed to me that the HTC One has been delayed for the UK to late March. :-( Shipping in Germany already however. "We will start fulfilling pre-orders by end March in certain markets and will roll out to more markets as we approach April." So actually not very much has changed, because that's exactly what we were told when the device was announced, it just seems you'll have to look around for the place which ships soonest! "HTC has confirmed there’s a delay to the shipments of the HTC One and, sadly, that means we’ll have to wait a little bit longer than we’d hoped before you can get your hands on your new phone. We’re contacting anyone who has pre-ordered to let them know about this. We’re aiming to have the phones in people’s hands no later than Wednesday 3 April but we’ll update customers directly once we have more information on individual orders." OUYA's are up for pre-order at GAME in the UK! Sony announces the Xperia SP and Xperia L! Is this Samsung's mammoth update list? Microsoft 'pause' the Windows Phone 7.8 roll out! German government buys 5,000 Blackberry Z10's. Blackberry Z10 prices drop already?! Sky buys O2 and BE home broadband!